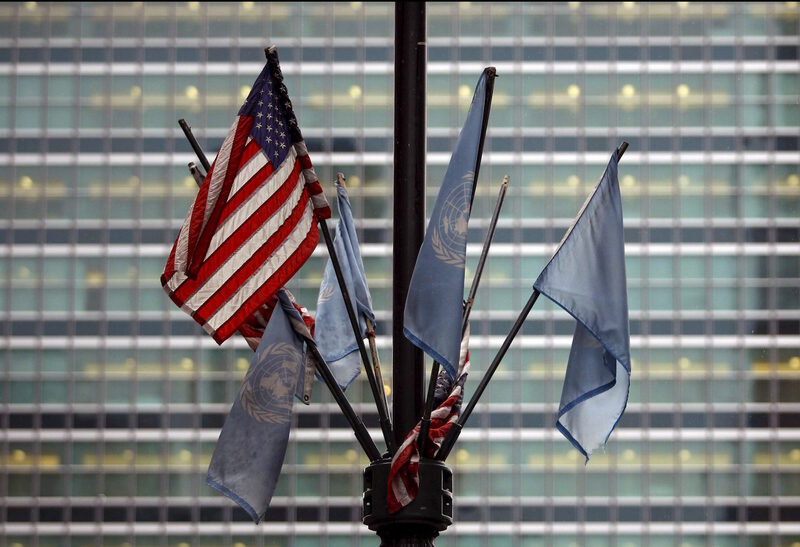 In order to make the UN system really ‘fit for purpose’, member states and UN bodies have to take bold action to overcome selective multilateralism, the weakening of democratic governance, and the financial erosion of public institutions. A special issue article by Karolin Seitz and Jens Martens for Global Policy. The past 20 years have witnessed significant changes in the engagement between the UN system and the corporate sector. The related financing arrangements are predominantly extra-budgetary, not subject to the same oversight and scrutiny as assessments and core contributions; thus tracking the total volume of private contributions to the UN Secretariat and the UN system is difficult and cumbersome. In 2013, specified voluntary contributions from foundations, corporations and civil society to the UN system amounted to about US$3.3 billion, or 14 per cent of all specified voluntary contributions to the UN system (United Nations, 2014a). Private funding of UN activities takes a variety of forms, including contributions to UN Trust Funds, country-level programmes, and support for specific initiatives and activities. Some funding is contributed directly and some through philanthropic foundations, such as the UN Foundation. If not yet significant in aggregate terms, such funding can represent a dominant share of support for specific programmes and at the country level. This is particularly evident in the health sector, which is now largely influenced by the Bill & Melinda Gates Foundation. Today, there are hundreds of different funding arrangements between UN entities and corporate actors. Disaggregated system-wide information on the quality and quantity of funding from the corporate sector is not available. Several UN funds and agencies, among them the United Nations Educational, Scientific and Cultural Organization (UNESCO) and the World Health Organization (WHO), list the amounts received from individual corporate donors, and all of them have published best practice examples for their partnering with the private sector. The United Nations Development Programme (UNDP), for example, has received US$13 million from the Coca-Cola Company since 2006 (on average US$1.5 million per year) in support of their joint initiative ‘Every Drop Matters’. This initiative provided grants for local groups, mainly in Eastern Europe and Central Asia, to undertake projects that improve access to water, water quality, and water management. UNESCO signed a cooperation agreement with the French beauty product firm L'Oréal in 2005 to roll out an HIV/AIDS prevention campaign that would be supported by hairdressers all over the world. Launched under the title ‘Hairdressers Against AIDS’ in 2007, this campaign has provided information to more than 1.5 million hairdressers in 36 countries, by introducing prevention modules as part of their professional training courses (L'Oréal, 2011). Another example is Coca-Cola's funding for UN Women programmes in Egypt, Brazil and South Africa. The company has collaborated with UN Women since 2011 in training programmes for women entrepreneurs running small businesses linked to Coca-Cola distribution chains. In 2014 and 2015 UN Women received about US$1.7 million from Coca-Cola to implement these programmes (UN Women, 2016). In June 2014, Muhtar Kent, then Chairman and CEO of Coca-Cola, became the first Chair of the UN Women Private Sector Leadership Advisory Council. Created to provide ‘strategic input to guide advocacy and resource mobilization efforts,’ the Council is comprised of business leaders, whose companies, according to UN Women (2014), ‘already demonstrate a strong commitment to supporting women and girls’. In addition to Coca-Cola, these companies are Anglo American, Chanel, Goldman Sachs, L'Oréal, McKinsey & Company, Ogilvy Public Relations, Publicis Dallas, Tupperware and Unilever. The trend of partnering with corporations is based on the assumption, that the UN and its member states would not be able to solve today's global problems alone. Partnerships with the private sector are seen as pragmatic, solution-oriented, flexible, efficient and un-bureaucratic – all attributes frequently lacking in purely intergovernmental projects and processes. With the adoption of the 2030 Agenda and its Sustainable Development Goals, governments have attributed a prominent role to the private sector in order to achieve the new goals and to close the identified funding gap. Despite the desperate attempts to raise money from corporations, the quantity of direct funding from corporations to the UN system and to global partnerships has remained surprisingly low. Voluntary contributions from the private sector, foundations and other non-state actors to UN Women accounted for 1.8 per cent of all contributions in 2015 (US$5.6 million of US$307 million) (UN Women, 2016). In the case of UNDP, private companies have supported projects with US$385 million in the five-year period between 2010 and 2015 (UNDP, 2016). This amount represents just about 3 per cent of all contributions to UNDP in these years. Partnerships with the UN are a cheap bargain for private companies. Benefit from a strong image transfer by associating yourself with a reputable international brand and a prestigious UN agency. Win greater visibility on the international scene. Gain access to UNESCO's wide and diverse public and private scene. Benefit from UNESCO's role of a neutral and multi-stakeholder broker. Turn your Social Responsibility into reality. Strengthen your brand loyalty through good corporate citizenship. Boost your employees’ motivation through hands-on experience in UNESCO's activities. However, UN business partnerships are not a one-way street, they affect both partners. But what does ‘image transfer’ mean for the reputation and neutrality of the UN? Is there not the risk that the cooperation with controversial corporations (like Shell, Coca-Cola or Microsoft) adversely affects the image of the UN as a neutral broker and undermines its reputation? Civil society organizations have repeatedly criticized that by entering into partnerships with the UN, for instance through the Global Compact, companies are ‘blue washing’ their image, while often continuing business practices that violate basic labour, human rights and environmental standards (Berne Declaration et al., 2007). But funding through UN-business partnerships bears not only a reputational risk. In general, all of the same adverse effects of earmarked funding of the UN's operational activities also apply to partnership projects between the UN and private companies. These include fragmentation, competition and overlap among entities, disregard of programme priorities defined by intergovernmental bodies, and high transaction costs. Philanthropic foundations, in particular the Bill & Melinda Gates Foundation, are the most important non-state donors to the UN system. In general, philanthropic foundations play an increasing role in global development, not only in terms of number and funding, but also in influencing global policy-making (Martens and Seitz, 2015). Global data on philanthropic contributions dedicated to international development causes is not systematically collected. The Organisation for Economic Co-operation and Development (OECD) reports that in 2013, contributions from Non-governmental Organizations (NGOs) and private foundations represented 7 per cent (US$29.73 billion) of total flows from countries, which belong to OECD's Development Assistance Committee (OECD-DAC), to developing countries (OECD, 2015). Foundations-only spending on international development are estimated to be around US$10 billion (Edwards, 2011). The Gates Foundation plays a particular role, as with its endowment of US$39.6 billion and annual spending of US$4.2 billion it is by far the largest foundation (Bill & Melinda Gates Foundation, 2016a). Most of its spending is dedicated to the areas of global health and global agriculture. The WHO is among the grantees of the Gates Foundation. Between 2014 and 2017, the Gates Foundation grants more than US$1 billion to the WHO (WHO, 2016). In 2014 the foundation has been the second largest funder of the WHO, after the USA. So far, most of the Gates Foundation's grants to WHO have been dedicated to polio eradication, global policy and advocacy, and maternal, newborn and child health (Bill & Melinda Gates Foundation, 2016b). In addition, it contributes indirectly to the UN through global funds, such as the Global Fund to Fight AIDS, Tuberculosis and Malaria (GFATM) and Gavi, the Vaccine Alliance. With more than US$478 million in 2015 GFATM has become the largest funder of UNDP (UNDP, 2016). Gavi alone contributed US$179.67 million to the WHO in the biennium 2014–2015 (WHO, 2016). The Global Fund and Gavi have also given significant contributions to United Nations Children's Fund (UNICEF). Another important player in terms of influencing UN policy is the UN Foundation. The UN Foundation plays a particular role not only because of its financial contributions but also because of its exclusive relationship agreement with the UN and the UN Secretary-General (Adams and Martens, 2015). The UN Foundation, which has been set up by media mogul Ted Turner, started in 1998 primarily as a grant-making institution to the UN. As of 2013, its cumulative allocations to the UN reached approximately US$1.3 billion, of which only US$450 million came from core Turner funds and US$850 million was mobilized as co-financing from other donors (United Nations General Assembly, 2014). The contributions have been received by the United Nations Fund for International Partnerships (UNFIP), which was established in 1998 as a trust fund to receive (exclusively) the contributions from the UN Foundation. Since then its focus has shifted more and more towards launching its own initiatives outside the UN, such as the Energy Future Coalition, brokering between donors and implementing agencies and campaigning and advocating in support of the UN Secretary-General and his key priorities and strategies – including its stated goal to ‘scale up UN capacity to engage in transformative multi-stakeholder partnerships with the private sector, civil society, philanthropists and academia’ (United Nations, 2012, p. 11). In addition, the Foundation provided resources to hire additional UN staff, as for instance for the Special Adviser on Post-2015 Development Planning, and has become a key outreach and campaigning arm for UN senior staff (United Nations, 2014b). The UN Foundation and the Gates Foundation are driving forces behind some of the global partnerships in the areas of health, education, nutrition and energy, including Every Woman Every Child (EWEC), the Sustainable Energy for All initiative (SEforAll), and Scaling Up Nutrition (SUN). These partnerships have been initiated by the UN Secretary-General since 2010. The foundations support these initiatives not only through donations but also through global advocacy, communications, and managing private sector engagement. While these partnerships claim to raise enormous amounts of new and additional resources from the private sector, the real numbers tell a different story. Just to give one example: according to the progress report 2015 of the Every Woman Every Child initiative, private companies made up only a small fraction – 2.7 per cent – of all financial commitments in support of EWEC (Every Woman Every Child, 2015). At the same time, corporate actors are systematically involved in the decision-making structures of these partnerships. Charles Holliday, Chairman of Royal Dutch Shell, for instance, is chair of the Administrative Board of SEforAll, the key decision-making body of this initiative (Sustainable Energy for All, 2016). Another example is the new Global Financing Facility (GFF). Under the cloak of the EWEC initiative and a multi-stakeholder structure, the governance of the GFF seems to be dominated by traditional donors and private foundations (Global Financing Facility, 2016). Important decisions about the financial support of national health strategies are taken at the sole discretion of the GFF Trust Fund Committee (World Bank, 2014). But this committee is a self-selected, exclusive body and not subject to intergovernmental oversight and mutual accountability mechanisms. The GFF in support of EWEC is a particularly striking example of the shift from inclusive multilateral decision-making within the UN to global club governance in exclusive partnerships – or what we call a shift towards ‘philanthrolateralism’. The changes in funding practices have deep implications for global governance. Private funding runs the risk of turning UN agencies, funds and programmes into contractors for bilateral or public-private projects, eroding the multilateral character of the system and undermining democratic global governance. Multilateral mandates become increasingly difficult to carry out, as a profusion of earmarked projects undermines coherence, planning and coordinated action. The engagement of corporations and philanthropic foundation with UN organizations and their influence on global policy-making in general raise several concerns. One prominent feature of many private foundations and corporations is their practice of applying business and often market-based approaches to development. This includes a strong emphasis on short-term results and impact. Consequently, foundations and corporations may neglect investments in areas where impact becomes evident only over time. Some philanthropic foundations, like the Gates Foundation, favour problem-oriented interventions that produce fast results. However, by focusing on quick-win approaches, such as developing vaccines or disseminating insecticide-treated bed nets, they tend to underestimate the relevance of structural and political obstacles to development (e.g. weak public health systems). Philanthropic foundations, in particular, can have enormous influence on political decision-making and agenda setting. This is most obvious in the case of the Gates Foundation and its role in global health policy. The Gates Foundation exerts influence on the UN policy not only through their direct grant-making but also through the placement of Foundation staff in decision-making bodies of international organizations and global partnerships. Three top-level secondments to the WHO have currently Gates Foundation connections. The Gates Foundation is a board member not only of Gavi, but also of the Global Fund, the Partnership for Maternal, Newborn and Child Health, the Medicines for Malaria Venture, the Roll Back Malaria Partnership, the TB Alliance, the Stop TB Partnership, and many others. It further uses matching funds, for instance for Gavi, to influence governments’ funding decisions. Funding selected research initiatives is another way of influencing policies at UN-level and shaping the discourse. In February 2008, Arata Kochi, the former head of WHO's malaria programme, complained in an internal memorandum to Margaret Chan, Director-General of the WHO, that the Gates Foundation was dominating research in the area of malaria treatment and risked stifling the diverse views held by others in the scientific community (McNeil, 2008). Through these different channels, the Gates Foundation influenced priority setting in the WHO and the political shift towards vertical health funds. Philanthropic foundations, particularly the Gates Foundation and the UN Foundation are not only major funders but also driving forces behind global multi-stakeholder partnerships. But the mushrooming of global partnerships and vertical funds, particularly in the health sector, has led to isolated and often poorly coordinated solutions. These initiatives have not only contributed to the institutional weakening of the UN and its specialized agencies, but have also undermined the UN's ability to fulfill the mandates member states have given it and the implementation of integrated development strategies at national level. Donor earmarking of funds can exacerbate ‘mission creep’ within UN development bodies by pushing them to undertake projects outside their core mandates. Perhaps the best example of this is the shift from tackling structural problems to identifying quick-win solutions, focused largely on technical aspects rather than on long-term planning, institutional strengthening or capacity building. This furthers fragmentation and incoherence across the UN system, weakens accountability and risks the reliance on and consequent capture of UN institutions by a limited number of rich public and private donors. The emphasis on multi-stakeholder partnerships can be in conflict with strengthening public administration and UN institutions. Not only are private resources pro-cyclical (depending on the overall economic situation) and generally not made available to support the norm setting, policy and advocacy work of the UN, the use of public resources to secure these partnerships can drain depleted public funds at crucial times. To date, UN partnerships have very limited public disclosure requirements if any, and conflict of interest regulations and accountability standards are not in place. As a result, such accountability that exists is only for those who participate voluntarily in specific partnership arrangements. While foundations like the Gates and the Rockefeller Foundations have significant influence on development policies, they are not accountable to the ‘beneficiaries’ of their activities, be it governments, international organizations or local communities. They have to reverse the trend of outsourcing funding and decision-making to global partnerships outside the UN system. Karolin Seitz has been a Programme Officer at Global Policy Forum since 2014. She studied political sciences and administration at the University of Konstanz. She holds a Master's degree in political psychology from Queen's University Belfast. She was an intern at GPF, the German parliament, the World Peace Service and the Malian NGO PACINDHA. Jens Martens is an economist and political scientist. He is Executive Director of Global Policy Forum and has been the Director of Global Policy Forum Europe since 2004. He is a member of the Advisory Board of the Development and Peace Foundation and coordinates the international Civil Society Reflection Group on Global Development Perspectives. Prior to joining GPF, he worked with the NGO World Economy, Ecology and Development and as freelance author and advisor for several NGOs and foundations.